Join us for Pancake Breakfast Wednesdays, 7:30-9:30am! 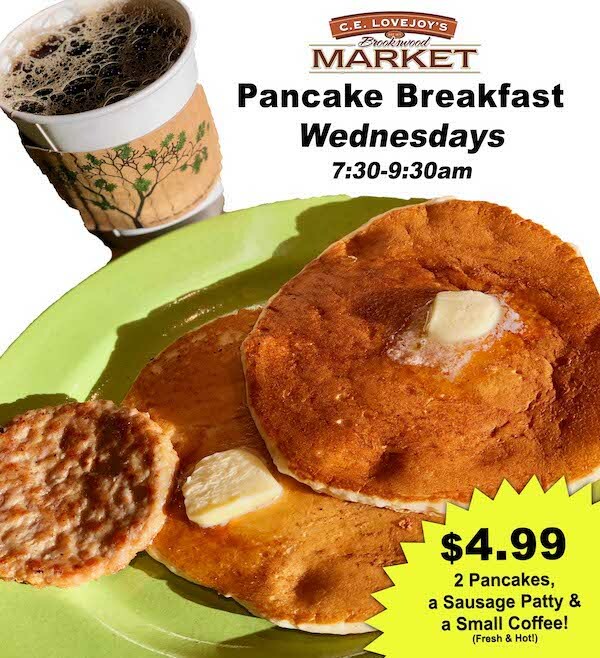 HOT & FRESH Every Wednesday from 7:30-9:30am get two Pancakes, a Sausage & a Small Coffee for $4.99! Eat them here or get them to go! This special includes syrup and toppings. Breakfast is the most important meal of the day and pancakes are just plain delicious, so we’ll see you here soon.